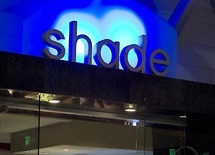 The Shade Hotel is the first luxury boutique hotel in Redondo Beach, California. Shade sits on the waterfront and offers guests sweeping views of the Pacific coastline from Palos Verdes to Malibu. Nestled in the heart of the South Bay, Shade Hotel is pleasingly situated between the King Harbor Marina and the bicycle strand. The Hotel features 54 rooms, conference space for up to 60-people, event and wedding space for 150 people, a rooftop AquaDeck pool area and it’s Sea Level Restaurant and Lounge which features breakfast, lunch and dinner. Each guest receives complimentary access to the daily Beach Breakfast, featuring an array of gourmet breakfast items, from seasonal fresh fruit and house-made scones to fresh juices. Complimentary Wi-Fi throughout the hotel will ensure guests have online access everywhere, from our roof-top AquaDeck to Sea Level, our waterfront restaurant and lounge. **Special thanks to Kathy & Robin- Beach City Brokers for contributing their video of the Shade Hotel.